Mom’s the word: Maggie Savage knows all about raising happy, healthy, awesome gluten-free kids. For this week’s Tuesday Talk, GROWING UP GLUTEN FREE, She Let Them Eat Cake‘s Maggie Savage dishes out tips for raising happy, healthy, awesome GF kids. A topic that’s close to my heart! With birthday parties, play dates and school lunches to plan for, raising healthy gluten-free kids can be a challenge. Add to the mix picky eaters and all the processed gluten-free products (with mile-long ingredient lists) hitting supermarket shelves daily. Tune in for all you need to know about preparing gluten-free snacks and school lunches and discover healthier “kid-approved” gluten-free products you can find in most grocery stores. With a dash of creativity and a scoop of knowledge, you’ll have all you need to start raising happy, healthy, totally awesome gluten-free kids! And don’t worry, there’s no need to take notes! Just click here for Maggie’s tip sheet that she created for her talk (with a bonus recipe for her Superstar Chocolate Cupcakes!). Do you love a PB and chocolate combo as much as we do? If so, it’s your lucky (Tues)day! 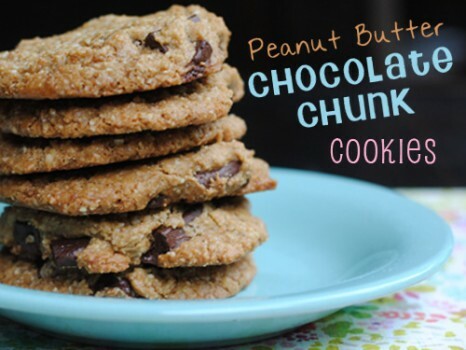 Once you taste Maggie’s Peanut Butter Chocolate Chunk Cookies, you’ll be making them “for the kids” on a regular basis. Maggie Savage writes the popular gluten-free blog She Let Them Eat Cake about her gluten-free family life. 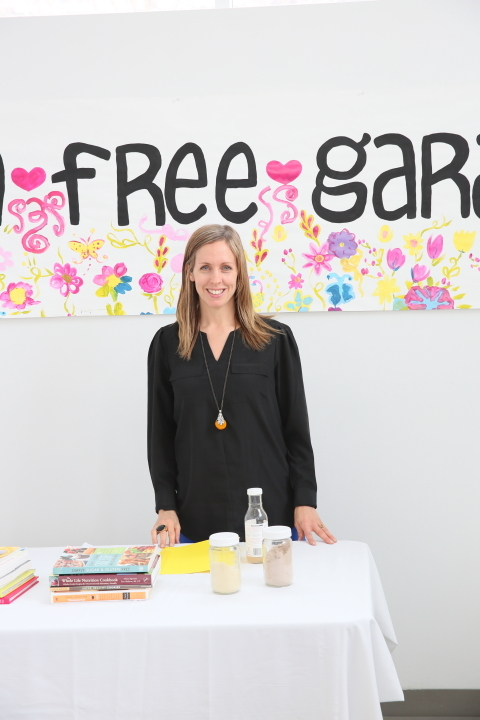 Pushed in this direction when her husband was diagnosed with celiac disease nine years ago and more recently with the shift to raise her children gluten free, Maggie debunks the myths of a gluten-free lifestyle and shows us that living gluten free is not only healthy but also yummy!